Invokana attorneys Rhett McSweeney and David Langevin are providing free legal consultations to individuals and families injured or harmed as a result of the use of Invokana, a commonly prescribed diabetes medication. If you or a loved one has been injured by the use of Invokana, call 1-877-542-4646or use our private contact form for a confidential legal consultation. Invokana may lead to serious side effects such as kidney failure, ketoacidosis, heart attack, and bone fracture. Invokana (generic: canagliflozin) is a diabetes medication manufactured by Janssen Pharmaceutica, a Johnson & Johnson company. It works with the kidneys to lower A1C, a type of blood sugar. Since its approval by the FDA in 2013, Invokana has been prescribed over four million times. Unfortunately, a number of adverse side effects have been observed in Invokana patients which has led the FDA to issue two separate warnings about the drug’s use. 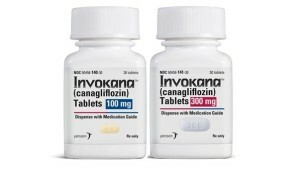 The first of these warnings noted that Invokana has been linked to diabetic ketoacidosis. This condition is marked by extreme and uncontrolled ketosis. If left untreated, ketoacidosis can result diabetic coma or even death. The FDA’s May 15, 2015 Drug Safety Communication warned that at least 20 cases of diabetic ketoacidosis had been reported by individuals taking Invokana and other SGLT2 inhibitors. This communication was updated in December to include a warning that SGLT2 inhibitors like Invokana could cause serious urinary tract infections. The second warning came in the form of a September, 2015 FDA Drug Safety Communication. This communication warned that Invokana can decrease bone density. This decrease can cause an increased risk of bone fractures which can occur as early 12 weeks after starting Invokana. Also in September, the Institute for Safe Medication Practices (ISMP) issued a report that questioned whether the benefit of Invokana use was outweighed by the risks associated with the drug. The risks that the ISMP identified included heart attack, bladder and pancreatic cancers, and kidney problems. You may be entitled to compensation for medical bills, lost wages, pain and suffering and other damages if you or a loved one has suffered any of the above symptoms. Feel free to contact an Invokana attorney at1-877-542-4646or by using the form below. Your information will remain confidential and an Invokana lawyer will provide you a free legal consultation.